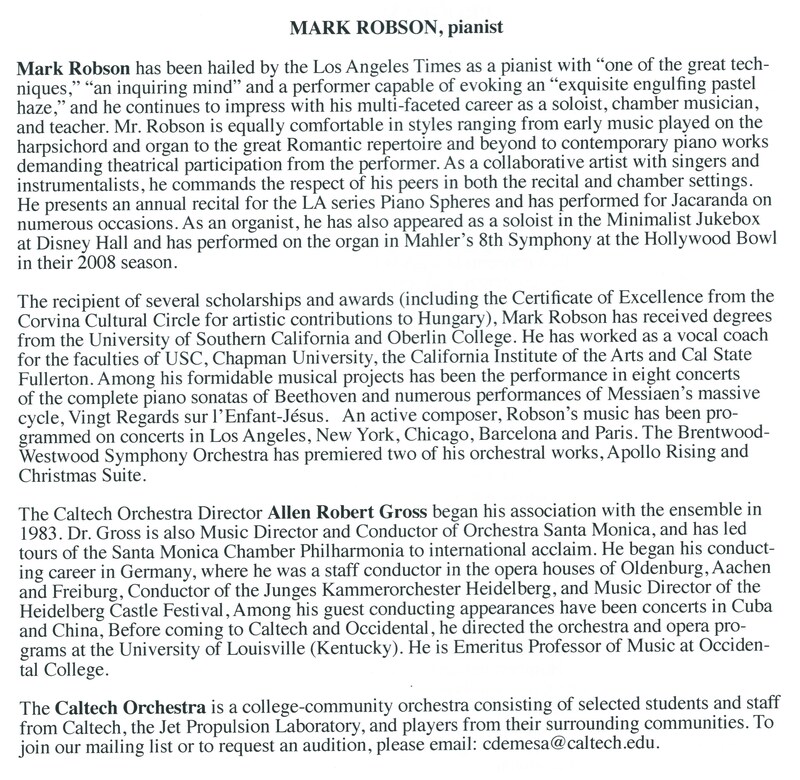 “First Essay for Orchestra, Op 12” from First Essay for Orchestra, Op 12 by Barber (Gross). 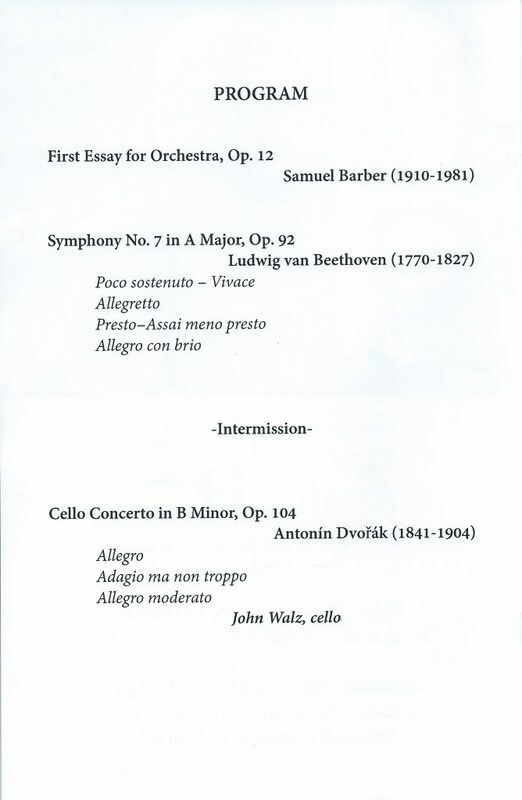 “Poco sostenuto – Vivace” from Symphony No 7 in A major, Op 92 by Beethoven (Gross). 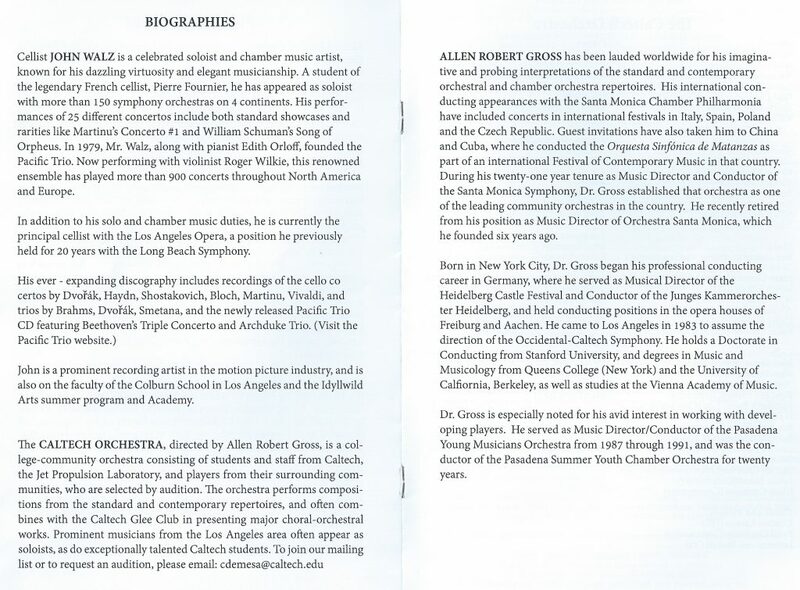 “Allegretto” from Symphony No 7 in A major, Op 92 by Beethoven (Gross). 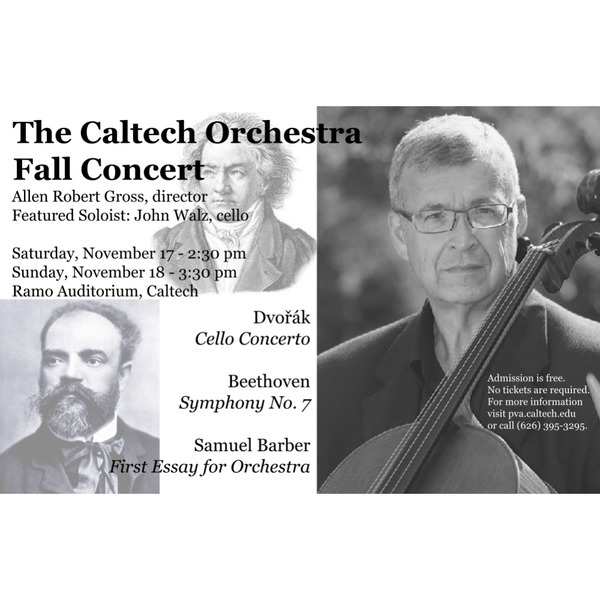 The Caltech Symphony, under the direction of Music Director Allen Robert Gross,is a full seventy-piece symphony orchestra comprised of undergraduate and graduate students, faculty, and staff at Caltech. 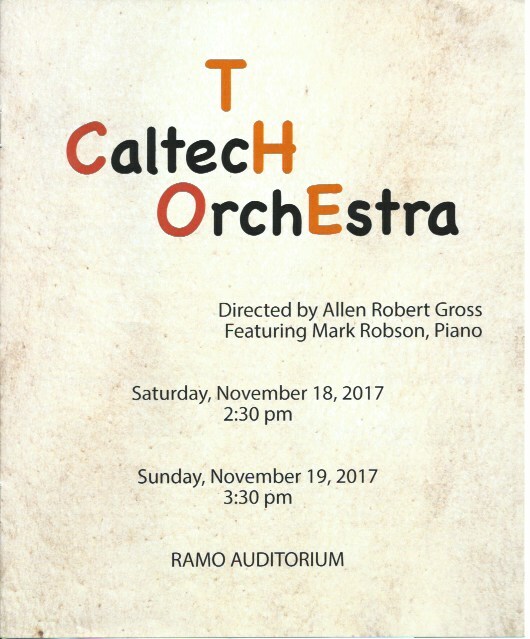 The orchestra rehearses once per week and gives four concerts annually on the Caltech campus at Ramo Auditorium. Recent concert programs have included symphonies by Mahler, Brahms, and Beethoven, as well as the contemporary compositions. 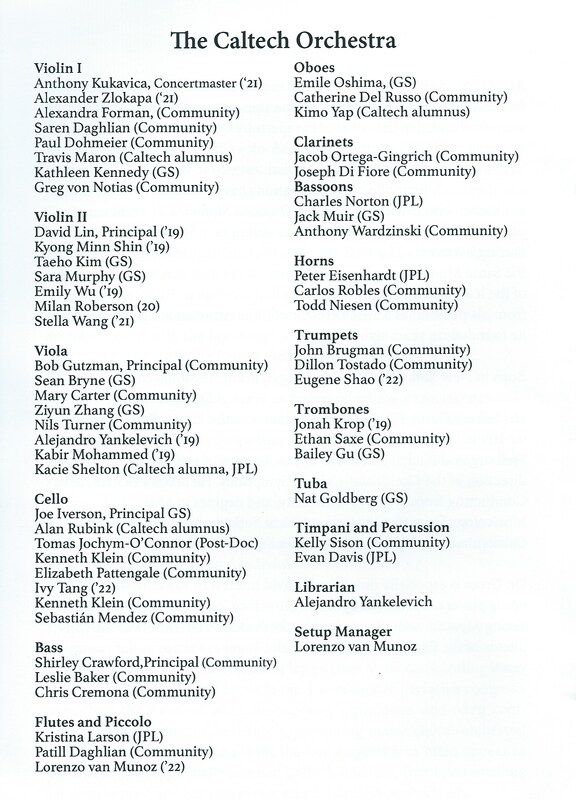 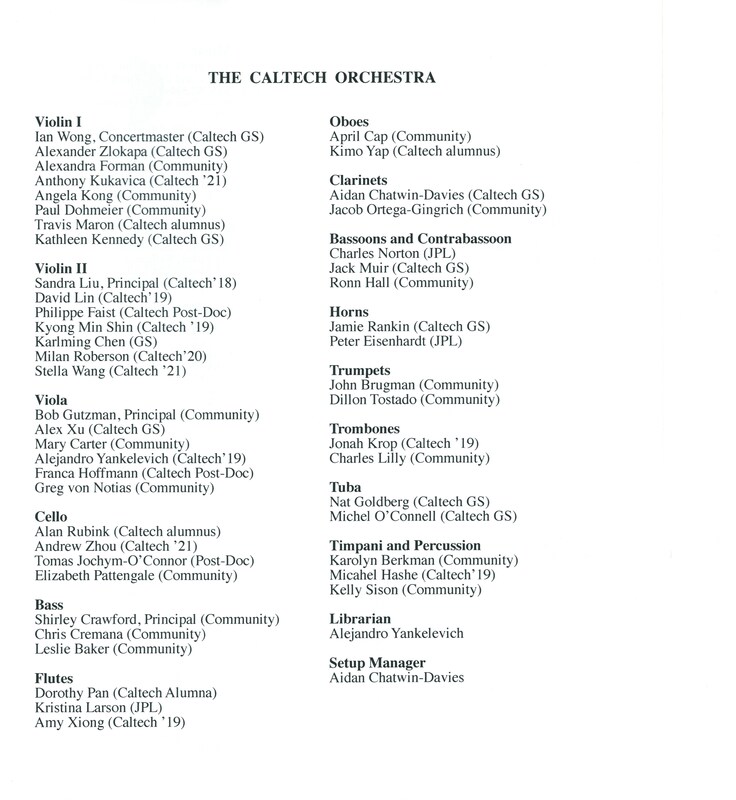 The Caltech Symphony Orchestra has collaborated with such artists as Martin Chalifour, Danielle Belen, Steven Vanhauwaert, Samuel Fischer, and Lawrence Sonderling.